The first installment of ADLaM's three part series. This installment is a development of a brief history of Alphabetic writing, why it is important to the ADLaM story, and how modern calligraphy played a part in leading up to the initial meeting with Ibrahim Barry, one of the creators of the ADLaM alphabet. Within the wider world of art and craft, the subset of the Calligraphic Arts has organizations represented in many parts of the world. At the local level, calligraphy societies and guilds hold meetings, host workshops and create an atmosphere where the art and craft of lettering can be taught. Through society newsletters and international publications like Letter Arts Review, articles on the traditions of Alphabet and artwork with innovation in letterforms provide a stimulus to artists all over the world. These societies provide the root system to foster the growth of the Calligraphic Arts and individuals within those groups use letterform as artistic expression. On an annual basis, Lettering Artists from around the world with a variety of skill levels come together to participate in an International Lettering Arts Conference. Traditionally held at a College or University in the summer, these conferences provide a venue that allows for an even more participatory “conversation” around the use, adaptation and innovation in the area of Lettering Arts and letter development. Some of the finest lettering artists around the world come to teach these workshops and provide lectures. Classes range from learning to write traditional styles of alphabet to the abstraction of writing and the incorporation of text into a wider application of artwork including traditional letter formation, layout and design, painting, journaling, bookmaking, gilding and type design. Some of the best of these classes can be transformative for participants, and the evening lectures add to the insight and excitement of what is happening in the greater world of Letters. It was at the 2013 International Lettering Arts Conference in Colorado Springs that I was privileged to be asked to give a talk about two brothers from western Africa who began using an alphabet to change a culture. This is the story of how that came about. Generally, the development of a writing system is something we only read about in history. If we really want to know, we can study the development of written communication through artifacts from ancient cultures and we benefit from the work of those who have deciphered the meaning of early marks made by mankind. Non- Alphabetic writing systems could include pictographic and syllabic glyphs and logograms. Pictographic writing like Hieroglyphics (“sacred carvings”) was a multi-faceted, complex system that could include a number of ways to translate the formal painted images(1) . Logographic writing like Chinese was and is a very precise system of over 50,000 symbols (of which about 2,000 are for daily use)(2) that convey the meaning or idea of a word, not necessarily its sound. 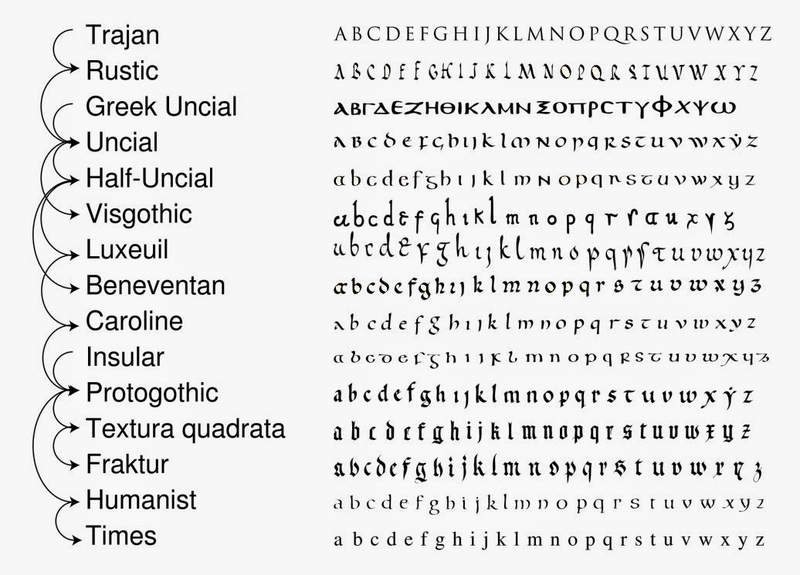 Alphabetic writing uses individual glyphs or symbols to represent the individual, basic sounds of any given language. Nearly every one of the world’s major alphabetic writing systems can be traced to development from another alphabet that has gone before it, with the earliest glimmerings of the first alphabet originating in Egypt around the 18th century BC(3) (fig 1.). This is perhaps because an alphabet is based on those individual representations of basic sounds called Phonemes which have proved wonderfully adaptable across diverse languages throughout history(4). With respect to this subject, it is important to note that only one major modern system of alphabetic writing, the 28 letter Korean Hangul alphabet, developed on its own from “scratch” in the mid 1400’s (5). Phoneme based alphabetic writing has made transitions across diverse sets of cultures. David Sacks in his 2004 book “Letter Perfect” talks about the Phoenician writing system(6) being adapted to Greek(7), though the two ancient languages “were as different as English and Arabic… The Greeks didn’t copy just the idea of the Phoenician alphabet, they actually copied the Phoenician letters and use them to write Greek”(8). This alphabet migrated westward through the culture of the Greeks to the Etruscans and then the Romans where it evolved into the modern Latin character set you are reading now and that is used by approximately 2 billion people today. In another example, these same Phoenician letterforms flowed eastward developing into the Arabic and eventually the Syriac alphabet which gave birth over time to a Turkic system called Old Uyghur. In Mongolia, one of Genghis Khan’s conquests yielded a prisoner, a scribe named Tatar Tonga(9) who brought and adapted the Old Uyghur script to Mongolian(10). The point of these examples is that alphabetic systems not only adapt over time, but they have the ability to cross over diverse, unrelated languages, continents and people groups. As they transition to new languages, there may be symbols (such as vowels) that are added, adapted or discarded to suit the new speakers. Rarely in modern times, with the exception of Korea’s Hangeul noted above, is there the occurrence of a “newly invented” alphabet. Modern calligraphy begins with what we think of as traditional letterforms handed down throughout history; in our western culture, the Roman alphabet is where it all begins. Humans are not static, and as the alphabet spread to different regions and was used with a variety of goals and purposes, the shapes of these characters morphed and adapted to the hand of each successive scribe or scribal tradition throughout history(11). 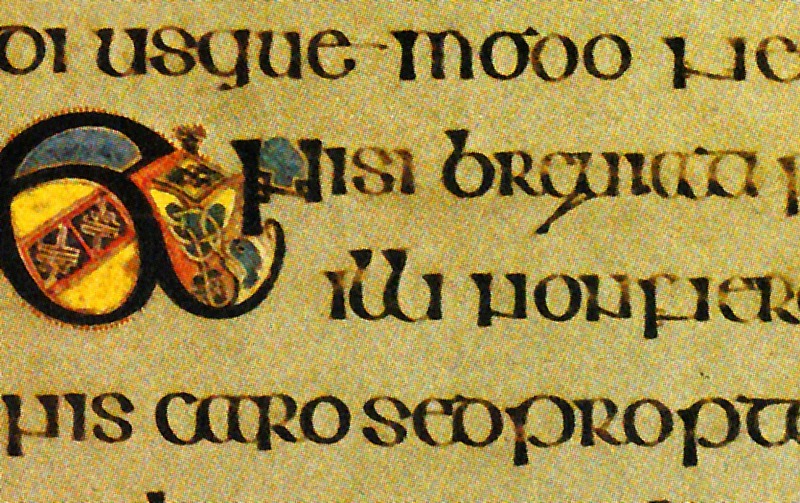 Uncial - Book of Kells- Ireland, 384 A.D.
Textura Quadrata – France, 15th cent. 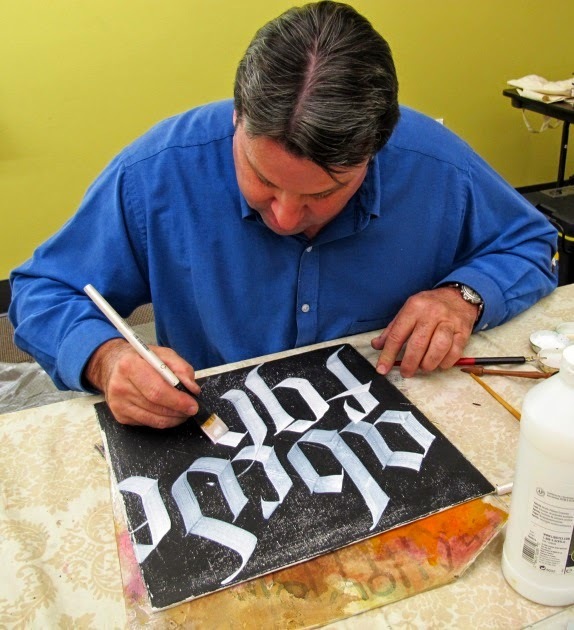 Today’s lettering artists begin with learning the form, structure and rhythm of traditional historic lettering styles. This method gives the student practical experience with the tools and materials of writing letterforms by hand. While a student is learning, they are thinking about every aspect of the new media: How do I use the new tool? What consistency do I mix my paint or ink? What happens when I write on smooth paper vs. rough? All of these are conscious thoughts while learning… but as proficiency develops, these thoughts no longer occupy the forefront of the calligraphers mind. It is at this point where the freedom to innovate and experiment becomes possible. turned to pushing the boundaries of letterform and their use. 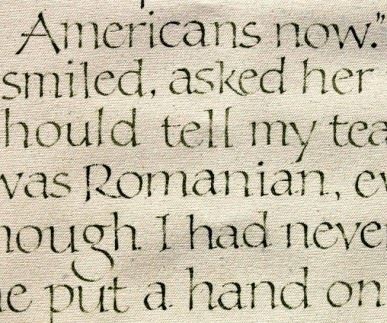 From “modernizing” historic scripts to using abstract, illegible calligraphic marks to work with form and density in composition, the boundaries of what is considered writing and what then is calligraphy have expanded farther than ever before. Many international artists have been highly influenced in these areas by the explorations in the 1980’s and 90’s of calligraphic artists like America’s Thomas Ingmire(12) and Belgium’s Brody Neuenschwander(13). 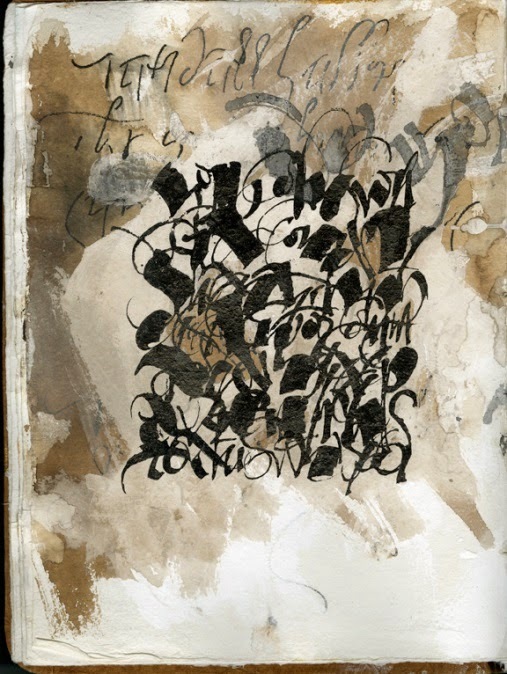 They and others have expanded calligraphic horizons by correlating calligraphy with modern artistic movements like Abstract Expressionism, Conceptualism and the recombinant possibilities of handwritten text in the digital age. With these thoughts and influences in mind, I developed and began to teach a class with a goal of experimentation in developing one’s own personal style of writing. Called “The Personality of the Letterform”, this workshop developed as a direct result of the influence of Thomas Ingmire’s line of exploration into the graphical properties of letterform. The point of this workshop experience is to look at alphabets that the lettering artist does not read or understand. We look at the text as a texture, and begin to write these texts mimicking the structure and form of the shapes themselves, identifying individual glyphs and analyzing the type of tool that best makes these shapes as we go. We further break down these individual forms to their simplest elemental strokes, and develop an inventory of marks to work with. The next step is to take this inventory of marks and begin to put them together in our own ways to come up with glyphs of our own, and further to identify our own alphabet that has morphed into something that represents our “personality”. It is an exercise in the invention of a writing system that can be legible or abstract. Students participate in an exciting and surprising creative journey – both a theoretical and practical exercise. Continue reading - Part two: "When Artistic Theory Meets Practical Reality"
 Moore, Hyatt. The Alphabet Makers. 2nd. Huntington Beach CA: Summer Institute of Linguistics, 1991. 8. Print. Crystal, David. The Cambridge Encyclopedia of Language. Cambridge: Cambridge University Press, 1987. 200,201. Darnell, John C., John C. Darnell, et al. Theban Desert Road Survey in the Egyptian Western Desert 1, Gebel Tjauti Rock-Inscriptions 1-45 and Wadi el-Hol Rock Inscriptions 1-45. Publication 117. Chicago: Oriental Institute, 2002. Print. Sacks, David. Letter Perfect. New York: Broadway Books, 2003. p4. Print. Kim-Renaud, Young-Key . The Korean Alphabet: Its History and Structure. Honolulu: University of Hawai'i Press, 1997. 12, 13. Print. Sacks, David. Letter Perfect. New York: Broadway Books, 2003. Preface x. Print. "The Mongolian Language." (2013): n.pag. Kwintessential. Web. 29 Jan 2014. .
 Gnanadesikan, Amalia E. The Writing Revolution: Cuneiform to the Internet. Malden MA: John Wiley & Sons Ltd., 2009. Print. Clayton, Ewan. The Golden Thread; the Story of Writing. 1st U.S. Ed. Berkely CA: Counterpoint Press, 2013. pp 34-38. Print. - One of the finest books on the history of writing with respect to calligraphic development I have been privileged to read. Thank you for your interest to share this information. Lettering Artists from around the world with a variety of skill levels come together to participate in an International Lettering Arts Conference. It is great. Thanks for sharing this article. Amazing. Well written. It is really good to know about the history of the alphabet culture. It is really interesting to know the different types of writing style for this. In this world, everywhere different kinds of style are used. The writing is one of the important sources of communication. We can see different practices for writing. It is a really interesting topic for the students to teach, they will come to know facts about the writing. 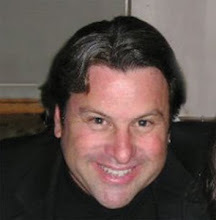 I found some useful information related to writing at www.essaywritingexpert-usa.tumblr.com/.